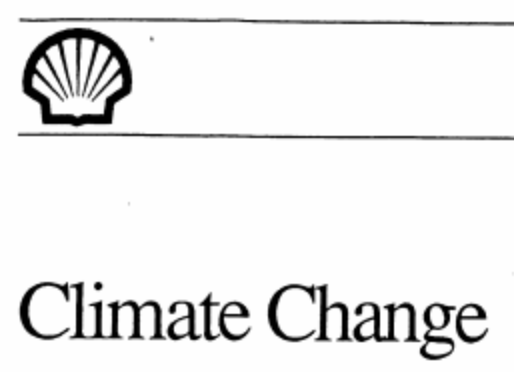 In February 1995, a management briefing titled “Climate Change” was internally circulated by the Shell International Petroleum Company Limited (“Shell”). This document, unearthed by Jelmer Mommers from journalism platform De Correspondent in a trove of internal Shell documents, appears to build off of research from “The Enhanced Greenhouse Effect” report (1994). Information from both reports is then reflected, in part, in “The Evolution of the World’s Energy Systems” (1996). Despite recognizing the position of the International Panel on Climate Change (“IPCC”) as a reflection of the “scientific consensus,” the briefing emphasized “a significant minority outside the IPCC” who believed “the concerns over global warming to be exaggerated and misguided.” The briefing challenged IPCC conclusions citing the opinions of skeptics that argued “there is no statistically significant evidence that climate has been affected in the way predicted” and that the effect of greenhouse gases on warming “could be negligible” when other factors are considered. In its analysis of future world energy systems, Shell explored two possible scenarios labeled “Sustained Growth” and “Dematerialisation.” Innovative technologies surrounding dematerialisation allow for significant energy conservation which “Sustained Growth” lacked. However, both scenarios relied on the assumption that energy supply from fossil fuels would plateau by 2030, begin to decline, and be replaced by renewable energy sources. Shell predicts that “CO2 emissions would peak in both scenarios at about 10 GtC/year” before the middle of the 21st century. Shell uses these scenarios with an emphasis on the uncertainty of climate science to advocate for policy inaction. The company’s consistent concern with “policy responses” is also apparent in the graphic “Global warming, the Circle of Uncertainty” (embedded below). The graphic symbolized how man-made climate change could lead to socio-economic consequences. It also highlighted the power of policy responses to shape those consequences. These policy decisions, presumably informed by the IPCC, appeared to concern Shell the most. Interested in more Shell documents? Full index here.